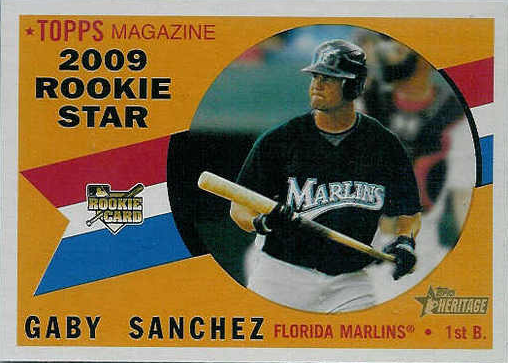 All About Sports Cards: Topps announces their 2010 All-Star Rookie Team, but did they choose wisely? 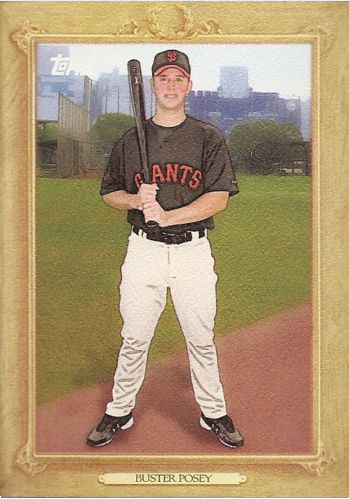 Topps announces their 2010 All-Star Rookie Team, but did they choose wisely? 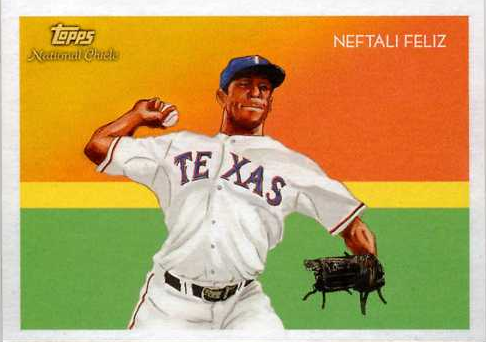 OK Topps. I know this is your list, but I've got a problem with it. Let's take the obvious players out of the discusion. 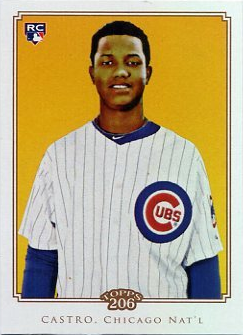 No one should have a problem with Sanchez, Walker, Valencia, Jackson, Heyward, Posey, Garcia, or Feliz. 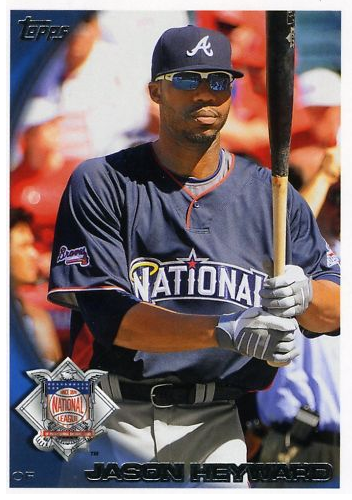 That leaves Castro, Stanton, and Strasburg. On second thought, I'll concede Castro. 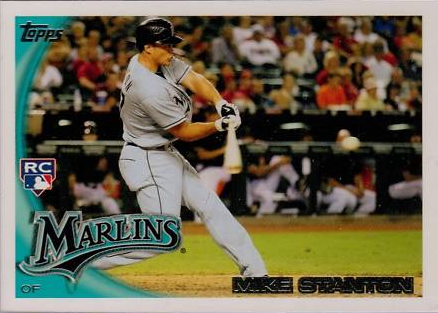 But what about Stanton? 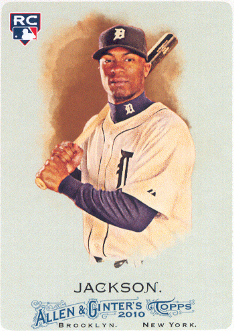 Anyone think that should have been Brennan Boesch? But even on that one, I could go either way. The one that troubles me is the most hyped player in quite a while, Strasburg. I know... I know... he had an amazing start, set some records early and looked like he could actually come close to living up to the hype. 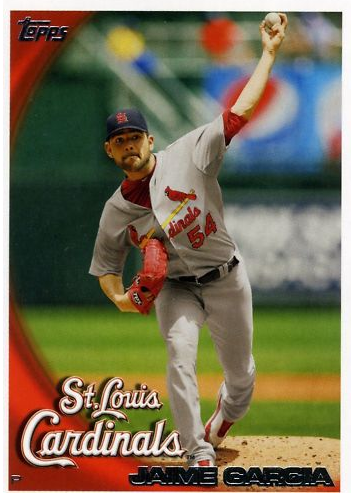 I know that he was a huge boost to card collecting at the beginning of the year. But he pitched in a total of 12 games, 68 innings of work all together. Can you think of another Right Handed Rookie Pitcher for this spot? How about Wade Davis? His performance this year was good enough to earn 11 out of a potential 28 votes on the Rookie of the Year balloting. Yes, against a healthy Strasburg it would be no match, but the point is Strasburg wasn't healthy. For your sake, and for card collecting, I hope you're right, that Strasburg rebounds and values/demand rebounds with it. But if it doesn't, I think you just might have overlooked a really good player. Agree, it questions the integrity of the set. It's like they have to have Strasburg in there. Who do you think was more "hurt" by the Strasburg injury? 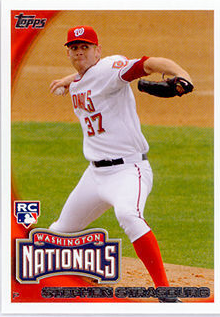 The Nats, Strasburg himself, or Topps? 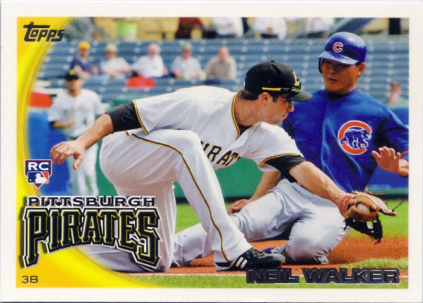 I'd wager that the execs over at Topps dropped a few choice words when he got hurt. I said all that to say...you're right. Davis would have been a better choice.